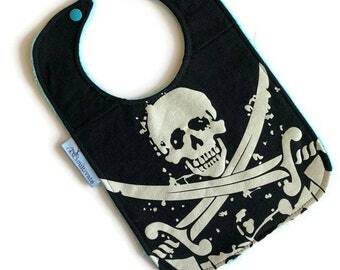 Upcycled T-shirt Bags & Bibs. Announcement reCULTIVATE and Baby reCULTIVATE offer one-of-a-kind bags and bibs made from upcycled t-shirts. I love giving new life to pre-loved band tees!! 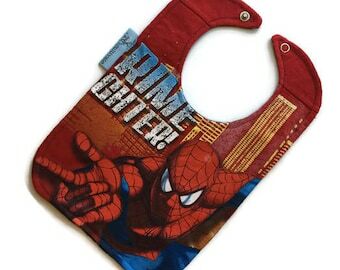 The reCULTIVATE bag and bib collections include items made from T-shirt’s featuring bands, superheroes, movies, cartoons, sports teams, and other fun themes. The collection is updated frequently, so be sure to check back from time to time. If you don't find what you are looking for in the shop please feel free to send me a message with requests or suggestions. I have inventory on hand that isn’t listed in the shop. I am also happy to create custom pieces from your own shirt...just click the orange "Request Custom Order" button on the left of the page, send me a message and we'll work something out. 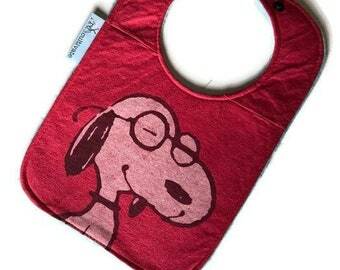 All bags and bibs in my shop are repurposed from once loved pop culture, band and concert t-shirts. I do not represent any of the artists on these trademarked shirts. Images are copyright of their respective owners. I am simply upcycling to create a new and unique item from an old piece that was no longer in use. 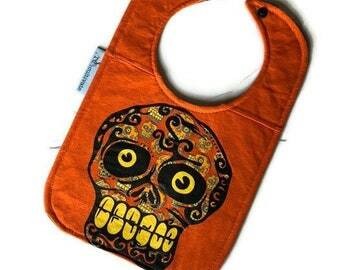 reCULTIVATE and Baby reCULTIVATE offer one-of-a-kind bags and bibs made from upcycled t-shirts. I love giving new life to pre-loved band tees!! 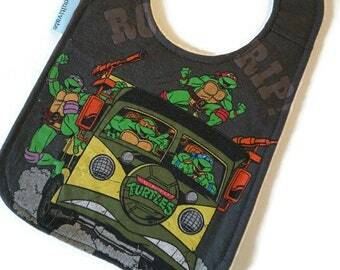 The reCULTIVATE bag and bib collections include items made from T-shirt’s featuring bands, superheroes, movies, cartoons, sports teams, and other fun themes. The collection is updated frequently, so be sure to check back from time to time. If you don't find what you are looking for in the shop please feel free to send me a message with requests or suggestions. I have inventory on hand that isn’t listed in the shop. I am also happy to create custom pieces from your own shirt...just click the orange "Request Custom Order" button on the left of the page, send me a message and we'll work something out. Love, love, love! Buy one! Amazing work, as usual! Fast shipping! All reCULTIVATE bags are $20.18 until Midnight!! Happy New Year!!! Day 1 of the Jackalope Holiday Fair was awesome!!! We’re doing it again tomorrow- come and see us if you’re in the Denver area!! I've always loved music and fashion. . .the two merged together when I was faced with my collection of large sized concert t-shirts that were baggy and brilliant in high school, but unwearable now. I still deeply loved them, and couldn't bear the thought of giving them up, so I decided to save them and give them a new life. Since then, I've rescued countless concert and band t-shirts from thrift stores and made them in to one-of-a-kind upcycled handbags. I am constantly updating my inventory, so check back from time to time. 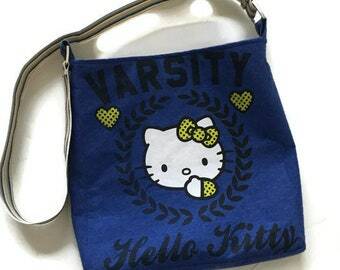 Also, if there is a band bag that you'd like to see in my shop please send me a message. My passions in life are music and fashion. . .here is what happens when I mix the two. reCULTIVATE is all about taking materials that are no longer in use and creating new one-of-a-kind pieces that can be loved again. I love prints, textures, colors and mixing them all together! The featured collection right now is the Remix Handbag collection. Each bag is a unique, handmade creation made from band and concert t-shirts. Bags are added weekly, and because each piece is a one-of-a-kind, once it's gone, it's gone. US Shipping - I ship through the USPS and the packages generally arrive in 3-5 business days. I also offer international shipping. Many countries are listed along with the price to ship there. If you don't see your country listed please send me a message and I will look into adding it. If you like my products but don't see your favorite band/pop culture icon/team in the shop, please feel free to message me a request and I'll see what I can do :) I have items in stock that aren't currently available in the shop as well as a large inventory of tshirts waiting to be repurposed. I am also open to creating custom pieces. If you have a shirt that you would like me to make into a one-of-a-kind item for you, just send me a message and we can work out the details. All products in my shop are repurposed from once loved t-shirts. I do not represent any of the artists on these trademarked shirts. Images are copyright of their respective owners. I am simply upcycling to create a new and unique item from an old piece that was no longer in use.